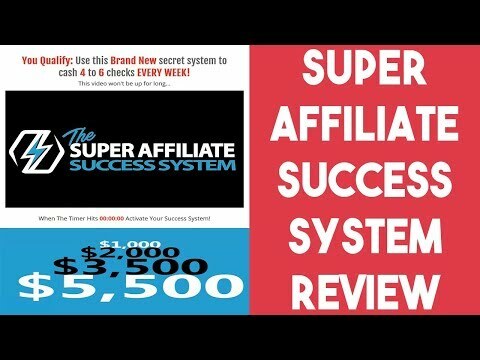 The Super Affiliate Success System Review - Cash 6 Checks Every Week?! The Super Affiliate Success System Review – Cash 6 Checks Every Week?! The Super Affiliate Success System claims that you can cash in 4-6 checks every week using their system. Is this a legit way to earn crazy money online, or is it another scam? Read The Super Affiliate Success System review to find out what I think. The Super Affiliate Success System.. hmm.. sounds familiar. Why is the name so similar to My Super Affiliate Mentor? Because it's basically the same thing. Only this time, with a very slight name change. The Super Affiliate Success System claims that it's an online training center where you can learn how to make money online with affiliate marketing. They claim that it's very simple and everything is done on autopilot for you. Even a beginner with no prior experience can start earning money TODAY! If you've read any of my other reviews such as my Profit With Our Sites Review, and my Profit Countdown Review you'll know I don't trust anyone who claims that you can earn money on autopilot. Especially a beginner, just starting out. It's just not possible. The Super Affiliate Success System? My Super Affiliate Mentor? The Super Affiliate Network? So why are all of these names so similar? The fact of the matter is “The Super Affiliate Success System” isn’t actually the system you’ll be signing up for. Once again, this is another sales funnel just like My Super Affiliate Mentor. In the incredibly long sales video, they never say how exactly you're going to make money. That's because they're just promoting and selling you on the other system.. The Super Affiliate Network and they don't want you to realise this. The Super Affiliate Network is actually a legitimate program that you can potentially make a lot of money online with. However, it is just a high ticket business opportunity just like MOBE, which I talked about in my Secret Society of Millionaires Review. I never recommend these systems, simply because of how much they cost. You will have to spend thousands upon thousands of dollars on these systems before you can even attempt to start earning money online with them. So basically, My Super Affiliate Success System is trying to mislead you into joining a program that will eventually cost you thousands of dollars. What Is a “High Ticket” Program? As I've said, I've talked about these before in my other reviews. But I'll quickly explain again what they are and how they work. Basically, with a high ticket program, you first have to buy a product and this will give you the licensing to then sell it yourself. However, the products are never cheap. In order for you to make thousands of dollars in commissions as they showed you in the sales video, you usually need to pay 2.5 times of what you can make from it. So, let's do the maths. If you want to earn a $1,000 commission, you'll have to buy a product for around $2,500. 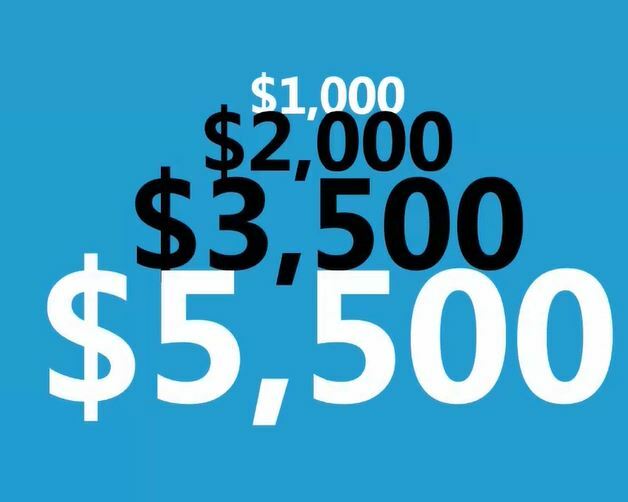 If you want to earn a $5,500 commission, you'll have to buy a product for around $13,750. So you buy the product for $13,750 and then when you sell it you earn $5,500. This means you'll have to fork out that massive sum AND you'll have to sell the product 3 times before you even start earning money. This is not an easy task by any means. Try finding 3 people that are willing to spend that amount of money. The Verdict – Is The Super Affiliate Success System a Scam? So I won't go into much more detail about this system, because it's the exact same thing as My Super Affiliate Mentor which I've reviewed already. So I recommend you read that review too. I can't say it's a scam because it is leading you to The Super Affiliate Network, and I've said, that is a legitimate business opportunity. However, it is a high ticket program so I absolutely DO NOT recommend it. Thanks for reading The Super Affiliate Success System review. Watch The Super Affiliate Success System review video below and don't forget to subscribe to the YouTube channel. Seven Figure Profit Code Review – SCAM Warning!